Picture this: It's a few days after your funeral. Your family has assembled to settle your estate. In the midst of grief, something starts to go terribly wrong. You never discussed your wishes regarding a few key items, and your children are left to make decisions about your stuff. Now your stuff is ripping your children apart as grief turns to anger, dare I say, greed. The hostilities between siblings tinge their relationship for years to come. Estates large and small can cause division between heirs. Do something to ensure a legacy of unity for your family. 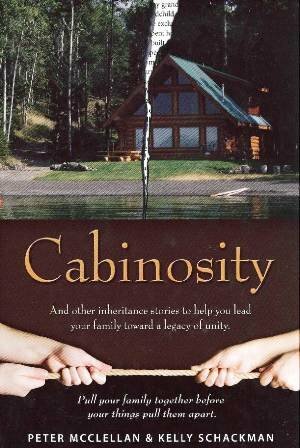 Read CABINOSITY. Invest in a conversation with your children and preserve their future.